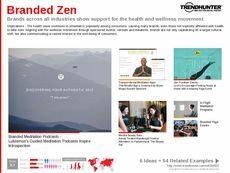 Find Better Ideas, Faster ® with a custom branded event trend report, our PRO Dashboard and 80+ categories of premium trend reports. 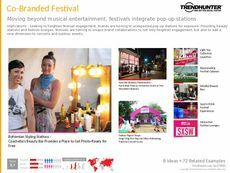 The Branded Event Trend Report highlights numerous examples of how brands tap into millennial sensibilities through the use of memorable and innovative events. 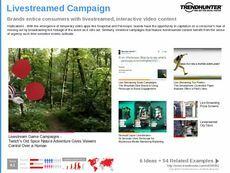 These range from charitable initiatives, product launches, fundraisers and parties -- all of which aim to connect to the modern consumer's goal for experiential and interactive modes of retail. Rather than simply offering products, brands are expanding their marketing efforts to include highly stimulating, multi-sensory events. Branded events are also a tactic used to maximize social media exposure, helping brands to gain traction online. This report is geared towards advertisers, marketers, brand strategists and event co-ordinators. Use our research to find out how top-tier brands in the fashion, beauty, food and beverage industry utilize branded events as an extremely powerful marketing tool that helps to retain existing consumers and attract prospective customers. 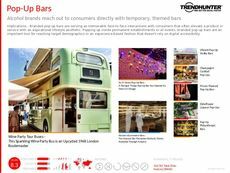 The Branded Event Trend Report is a valuable resource that documents the latest examples in this field. Use our research to better understand the consumer preferences towards these experiential and immersive events and the positive impact it can have on brands.